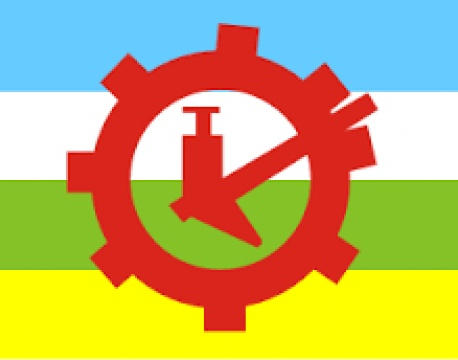 KATHMANDU, May 18: Rastriya Prajatantra Party (RPP), the fourth largest party in parliament, appears to be headed for a stinging defeat in the first phase of local elections held on May 14. The party has won just a single seat till Wednesday and is leading in very few constituencies. It is important to note that these are early results and the party may seal victory in a few more constituencies than projected. Nevertheless, the overall performance of the right-wing party has been pretty dismal so far. Many, including the RPP leadership, were hopeful of a good performance in the polls because of the merger between Rastriya Prajatantra Party Nepal and Rastriya Prajatantra Party in November last year. In fact, the RPP leadership has already conceded defeat in public and started soul-searching. RPP Chairman Kamal Thapa on Wednesday publicly admitted that the party was not satisfied with the poll results. He, however, said that the party would respect the people's verdict. “Though the results (polls result) are unexpected for us, we accept the people's verdict. We won't be dejected, will reflect on the past and work hard,” Thapa twitted, while thanking RPP supporters. RPP leaders said they were analyzing the reasons behind the party's dismal performance in the polls. Observers, meanwhile, point at three major reasons for the fall. One, the observers think that the electoral alliance forged with other parties did not work. The party had separately forged alliance with UML, CPN (Maoist Center) and other regional parties like Nepal Workers and Peasants Party. But early poll results indicate that the alliance failed to bear fruits. Though UML and RPP had fielded cross-party mayoral and deputy mayoral candidates in Kathmandu, the outcome shows it only benefited UML. While UML's mayoral candidate for Kathmandu, Bidhya Sundar Shakya is leading, RPP deputy mayoral candidate Rajaram Shrestha is trailing far behind. Second, RPP leaders think that recent split in the party also played a role. RPP led by Keshar Bahadur Rayamajhi, Prakash Chandra Lohani cut the votes of the mother party. Third, the flip-flopping position of the party on disputed issues including constitution amendment also backfired. Three days after the Election Day on Wednesday, RPP leader Kerung Tamang was declared elected as the chief of Ruby Valley Rural Municipality of Dhading. This is the only victory for RPP in the local polls so far although it had fielded candidates for 5,140 local level posts. Of them, 80 were mayoral candidates, 79 deputy mayoral candidates, 111 candidates for the post of chief and 90 in deputy chief and others at ward level of different local bodies. RPP Chief Whip Dil Nath Giri also conceded the defeat. He said that the party was not satisfied with the election results. He said that that party was carefully analyzing the results to find out what possibly went wrong. Asked whether the electoral alliances the party forged were the reason behind the party's poor performance, Giri did not give a clear answer. “An electoral alliance, theoretically, is not a bad thing. We would continue to forge alliance with likeminded parties after careful analysis,” said Giri.